On one of the corners of Voortrekker and Durban Roads, in the heart of Bellville, lies the Twelve-mile Rockstone – an historical monument that marks the distance from Cape Town and the period during which this part of the world was an ‘outspan’ or resting place on the Cape Town to Stellenbosch Route – a welcome resting point for those whose wagons had already battled over the sand of the Cape Flats Region. 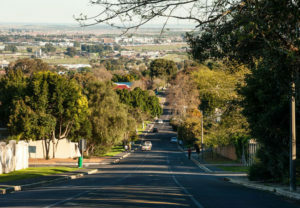 Bellville’s proximity to the N1 makes it a popular place to stay with visitors, and besides the easy access to Cape Town’s beaches, the suburb provides plenty of opportunity to occupy one during one’s stay. The Tyger Valley shopping centre, the retail heart of Tygerberg, is a sprawling mall with a huge variety of shops, boutiques and recreational facilities, in which most of Cape Town appear to while away the weekend. The Bellville Golf course is worth a round on its 18-hole course, which lies in the sheltered valley with wonderful views of the Hottentots Holland Mountain range; and the Tygerberg Nature Reserve is a great outing with a 7.5 kilometre hike that promises superb views over the entire peninsula. The Durbanville Wine Valley, with its historic vineyards, charming eateries and typical South African hospitality, should be top of your itinerary when staying in this part of the world.